This week is Spring Break, and a lot of people are traveling this time of year. 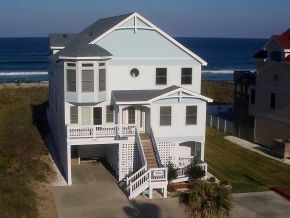 I was thinking how fun it would be to go with family and relatives to the Outer Banks to rent a large house big enough for all of us. We could relax for a week or so and sit out on the beach and tour the area. I wonder what Baby J (our 19 month old grandson) would think about the waves. It would definitely be a fun vacation! This entry was posted in Vacations/Travel and tagged outer banks by Charla. Bookmark the permalink.